To get started, you need the Educator Code from your school. Not sure what your Educator Code is? To get started, you need a Class Code from your teacher. Students using My BrainPOP can see a history of the movies they've watched, quizzes they've taken, and activities they've completed. They can also view assignments and review feedback on their work from teachers. You don’t have to be a computer science teacher to code with your students! For novices and computer whizzes alike, Creative Coding offers hundreds of text- and block-based programming projects based on Scratch and Vidcode. Want to see how you can connect coding to any subject? Try a selection of Creative Coding projects for free! BrainPOP has partnered with Newsela to provide texts from trusted media sources like the Washington Post and Scientific American. These articles are available across all subject areas on BrainPOP, from Cells to the Writing Process. All texts are accessible in multiple reading levels and many have also been translated into Spanish, giving students of all levels access to the same content. 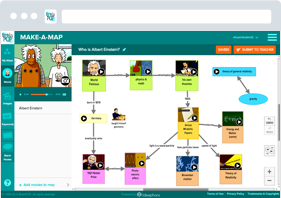 Make-a-Movie empowers teachers and students to make their own BrainPOP-style movies! Build scenes using images from our library or your own drawings. Add narration then submit and share. This tool cultivates planning, organizing, writing, collaborating, and analyzing skills. This tool allows students to create concept maps and connect and develop ideas as they explore our resources. Students can include a written explanation of their thought process and submit maps to a teacher for feedback. 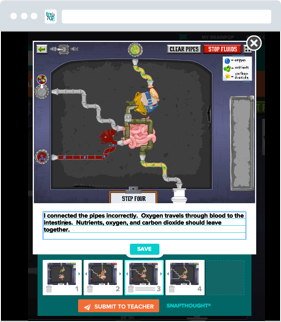 With SnapThought, which is available on select GameUp titles, students can capture and reflect on key moments in game play. They can describe their thinking, make predictions, and draw conclusions. These reflections can be submitted to a teacher for feedback. For each topic, BrainPOP Jr. provides leveled quizzes and additional features that meet the needs of different learning styles. Talk About It is a graphic organizer, Write About It is a writing prompt, and Draw About It is a drawing prompt. 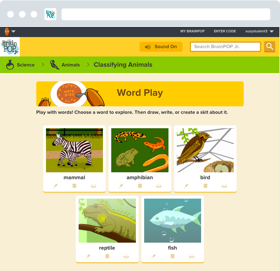 Word Play is an interactive vocabulary feature that enables students to explore key words from the topic. These features can be assigned and submitted through My BrainPOP. Accompanying each BrainPOP ELL lesson, these activities help ELLs with reading comprehension and writing skills. Earlier levels focus on letter and sound recognition, while later levels move on to simple paragraphs and essays. Work done within Read It! and Write It! can be submitted for feedback through My BrainPOP and will appear on students’ timelines. BrainPOP ELL’s placement test identifies where in the linear program each student should start. It assesses receptive language skills using a range of listening and reading tasks, plus accompanying questions. 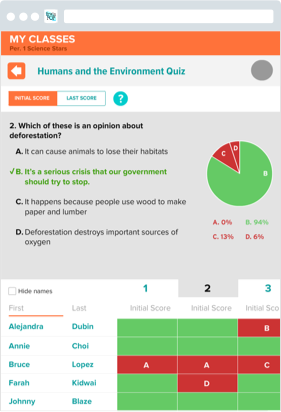 Students can complete the test over the course of multiple sessions; their progress and performance can be tracked with My BrainPOP. 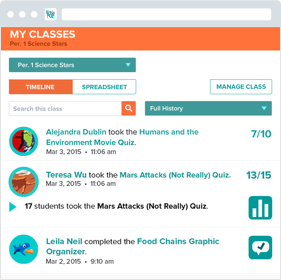 With My BrainPOP, teachers can set up classes and track students' work. 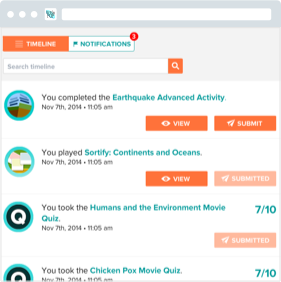 They can provide students feedback on their quizzes, maps, and other features. On BrainPOP ELL, placement test progress and performance will appear as well. Class quiz results are broken down question by question and student by student, revealing the areas that need further clarification. Class game results can help teachers assess student performance on different concepts covered in the game. 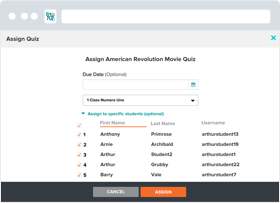 Assign anything we offer - movies, quizzes, concept maps, Challenges, GameUp games, FYIs, and more! Students can submit their work for feedback, and you can track their progress through My Classes. 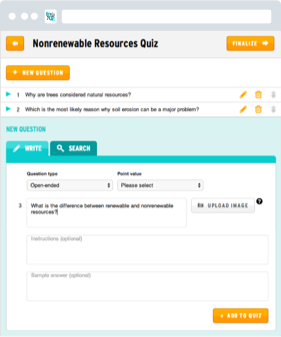 Customize assessments: build your own BrainPOP-style quizzes with the Quiz Mixer! Use our bank of questions and edit them to meet your needs, or write your own, including open-ended and poll questions. 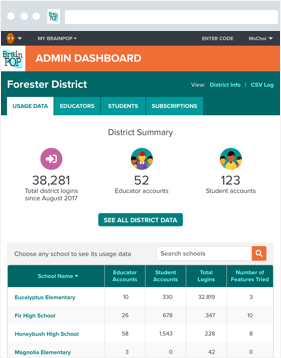 Administrators can view usage data, see the most popular BrainPOP movies at their school, and identify the educators who are most active on BrainPOP. 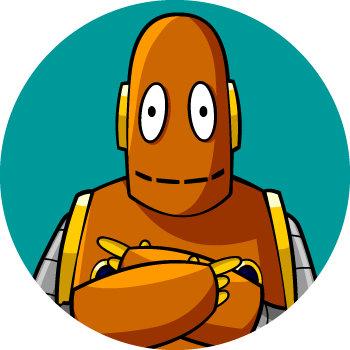 Create multiple student and educator My BrainPOP accounts at the same time, making onboarding quicker and easier. 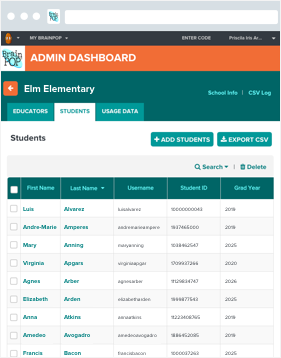 The Admin Dashboard is accessible to administrators, tech coordinators, and other educators authorized to handle student data. To get the Admin Dashboard set up for your school, contact mybrainpop@brainpop.com.